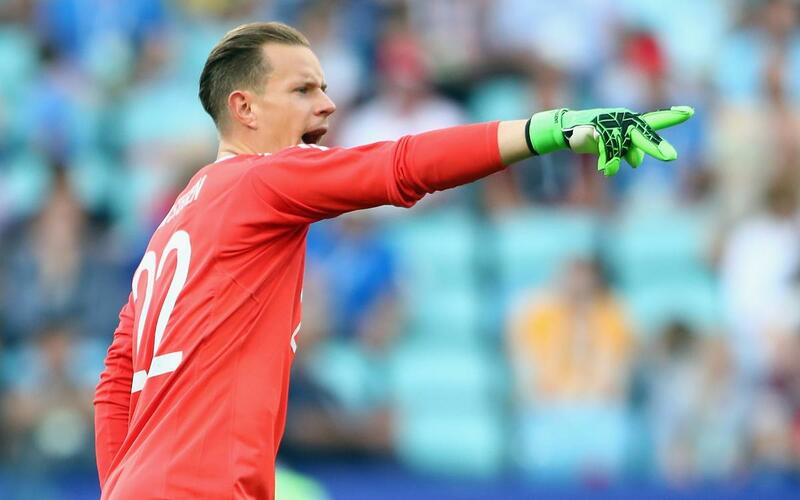 Marc-André Ter Stegen has added another trophy to his cabinet with his national side securing a 1-0 victory over Chile with a goal from Stindl in the final of the Confederations Cup in Russia. It is the first time they have won the trophy with their previous best being the third-place they secured in the 2005 Confederations Cup. The keeper played a key role in his side’s Confederations Cup victory. Ter Stegen played all ninety minutes of the final and 360 across the competition. His saves meant his team won and he was chosen as the final’s man of the match. The Chileans started dominating but Germany ended up victorious after punishing a defensive lapse from the South American side through Stindl in the 20th minute. Pizzi’s side tried to take the game to extra-time but Löw’s team managed the game well and the blaugrana keeper made the saves when he was needed most. His most significant stop was a remarkable save from an Aránguiz effort ten minutes from the end. He also saved well from an Alexis Sánchez free-kick at the death. The blaugrana has earnt a rest and some holidays after winning yet another trophy before the start of the 2017/18 season in which he will try and win trophies with Barça.